It's almost a decade since the Nissan GT-R came into existence and this supercar just refuses to get a shade of grey against its name. 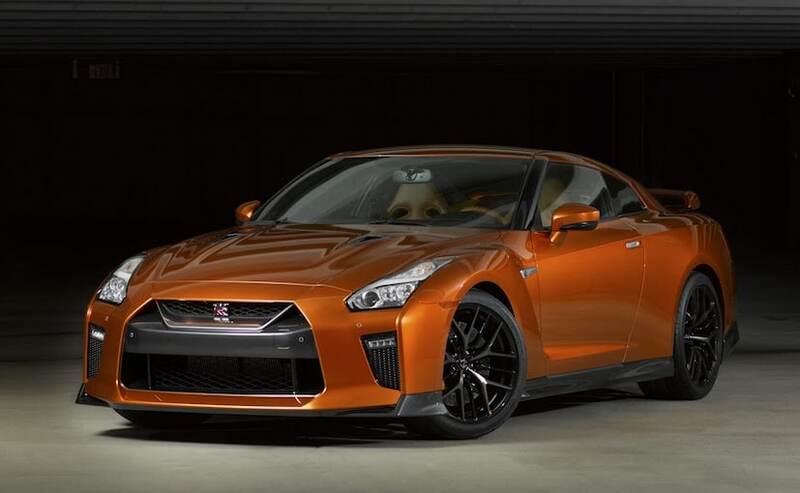 Adding more power, technological advancements, improved cabin among upgrades to the iconic Godzilla, Nissan unveiled the 2017 GT-R at the New York International Auto Show and yes, this will be the model that will come to India in September this year. 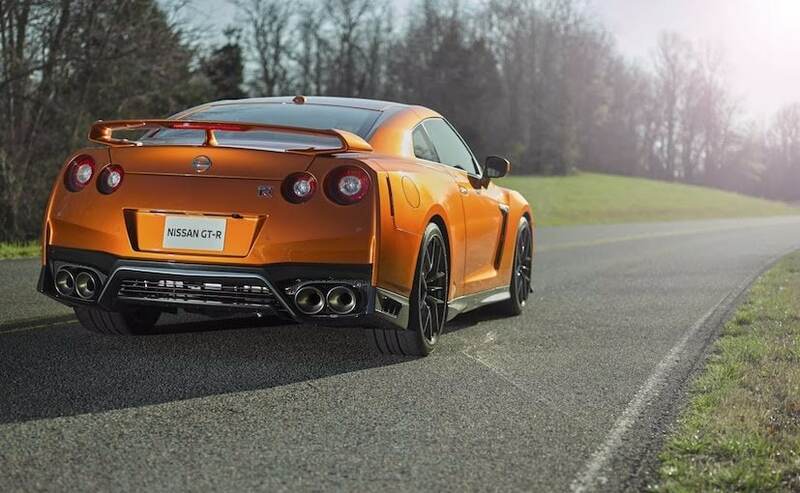 Keeping up with changing times, Nissan has updated the R35 Godzilla with subtle exterior upgrades including the distinctive new V-motion grille finished in matte chrome, which brings the flagship model closer to Nissan's range of cars. The mesh pattern is now updated and larger for improved cooling, while the hood is new and reinforced with more prominent character lines to boast off. Furthermore, the front lip spoiler and bumper design have been revised for additional downforce. The sills are pushed outward on the side profile in a bid to enhance airflow and the 20-inch wheels now get a new 15-spoke alloy wheel design. The rear features revised bodywork with functional vents next to the quad exhausts, whereas a higher beltline is part of the design updates that helps make the car look wider. Moving inside, the cabin gets finished with a host of premium options sprucing up the 2017 GT-R's luxury quotient. You get Nappa leather-upholstered seats and dashboard, while the entire cabin has been rationed on the usage of switches, down from 27 on the predecessor to just 11. A larger 8-inch touchscreen infotainment system is now housed in the centre console. The seats are lighter too, courtesy of Nissan's new construction technique, while the paddle shifters are now mounted on the steering wheel and allow the driver to perform mid-turn gear changes, although not recommended. 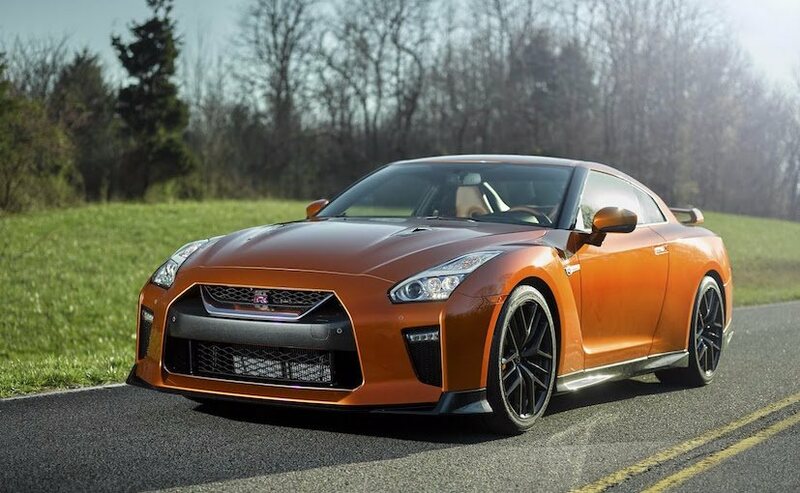 By no means is the Nissan GT-R slow and the 2017 edition only adds more power to the stellar package. The 3.8-litre twin-turbo V6 gets an extra 20hp bump in power, pushing the total output to 565hp, while torque has increased by 5Nm to 633Nm. The torque curve is flatter for enhanced on-demand acceleration. 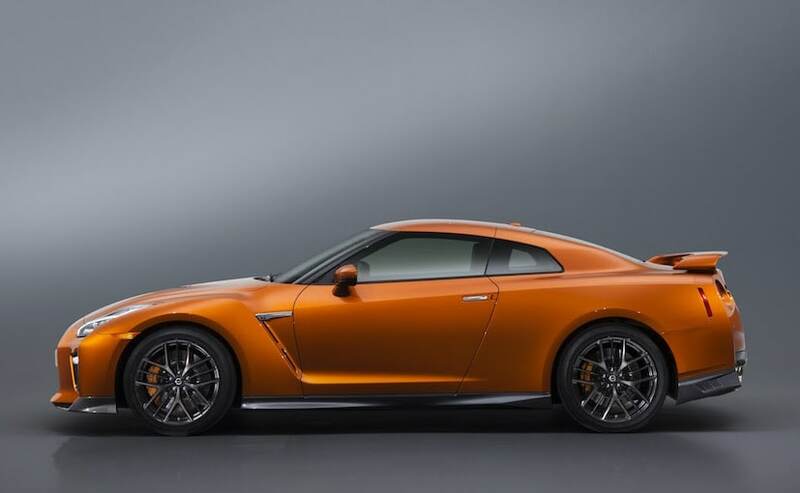 Nissan says that the revised timing control and additional turbo boost have helped improve the power output with the acceleration improved above 3200rpm. A new lightweight titanium exhaust is added to the package and changes the engine note slightly. Nissan has also improved the handling and ride quality on the 2017 GT-R with a more rigid structure and revised suspension settings. Then, there are Active Noise Cancellation and Active Sound Enhancement technologies, whereas the Acoustic glass will aid in sound dampening, minimising road and wind noise inside the cabin.